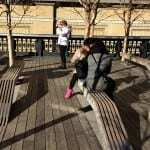 Up until 2009 when most people talked of New York, sites and buildings such as Wall Street, The Statue of Liberty, The Empire State Building, and Central Park were the hot topics. 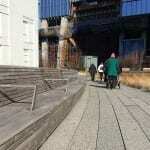 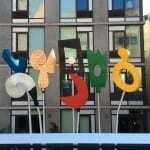 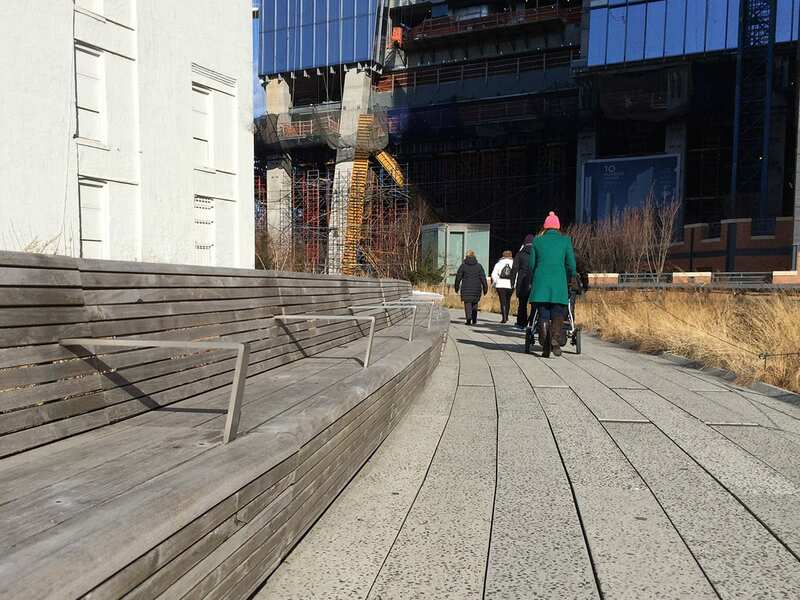 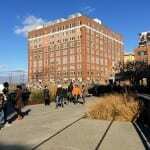 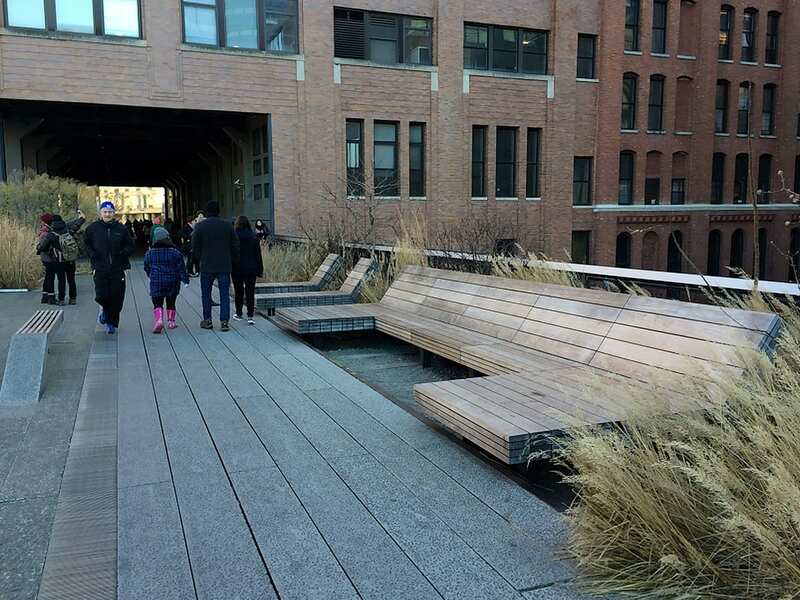 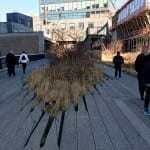 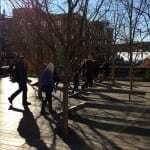 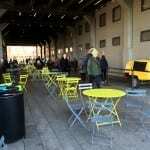 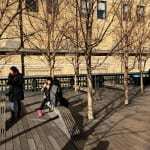 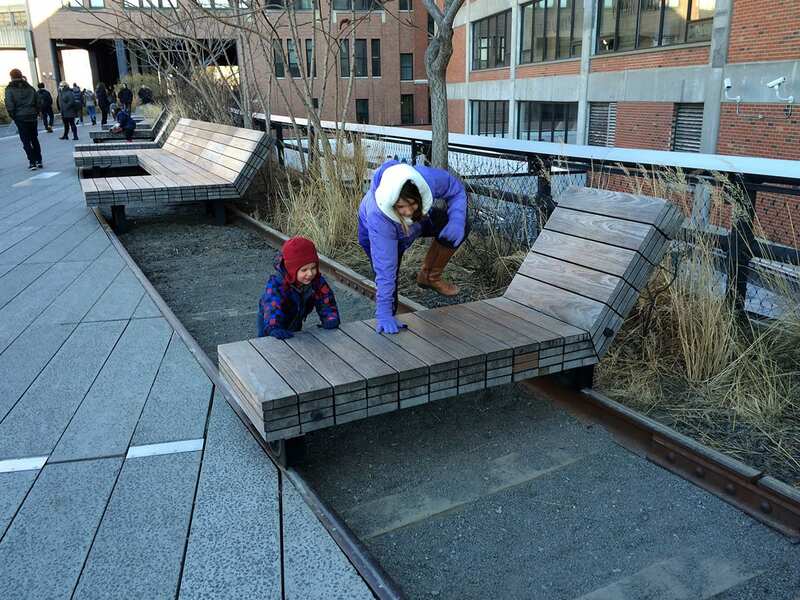 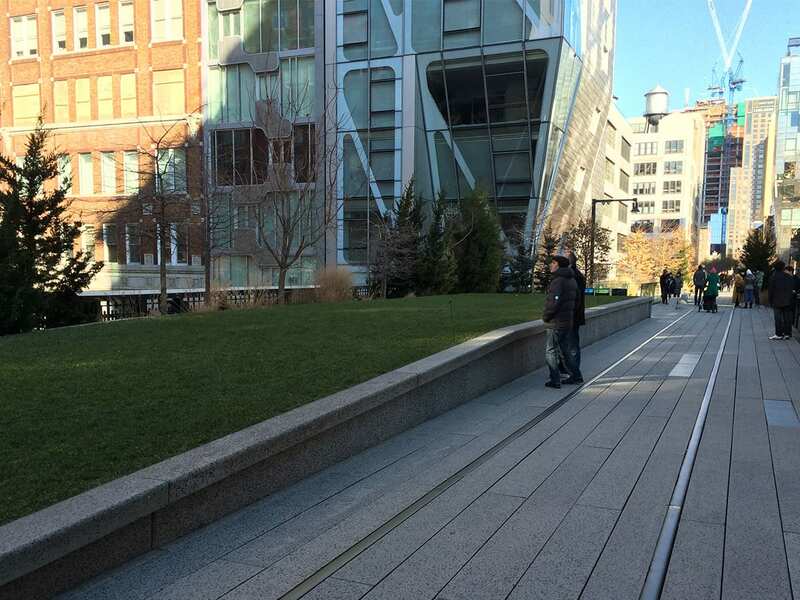 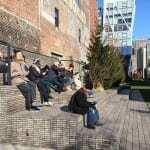 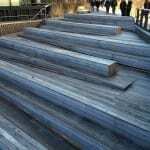 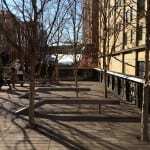 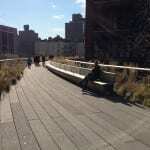 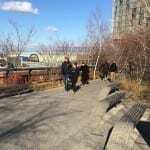 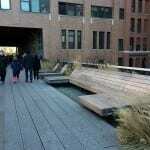 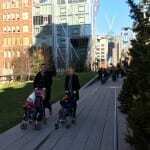 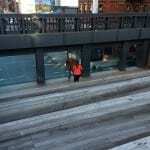 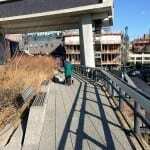 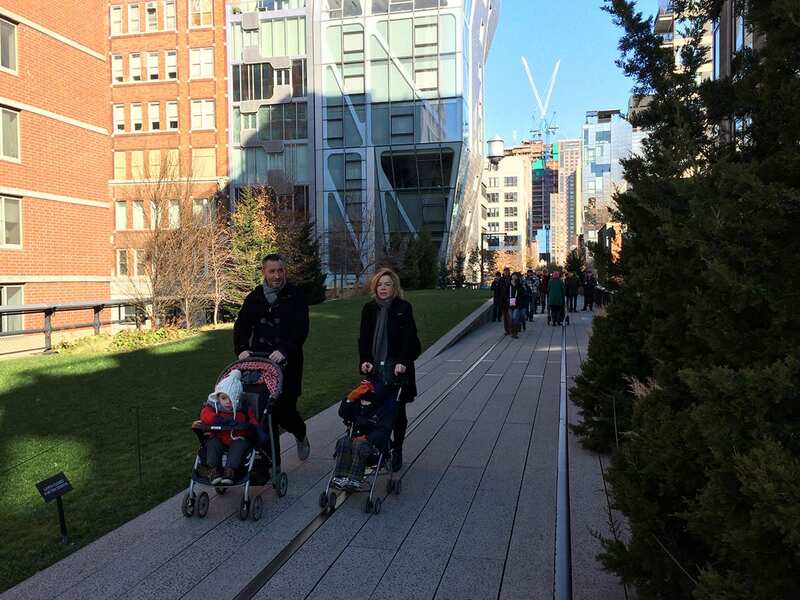 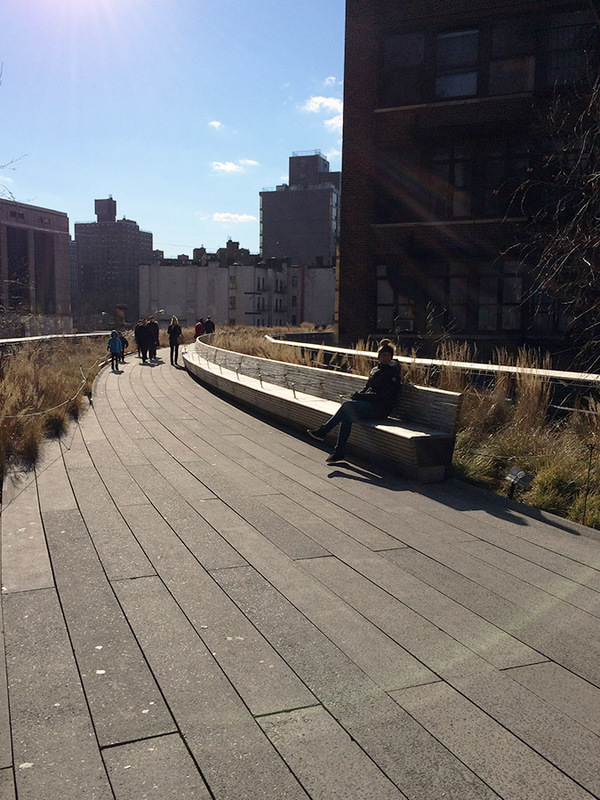 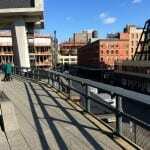 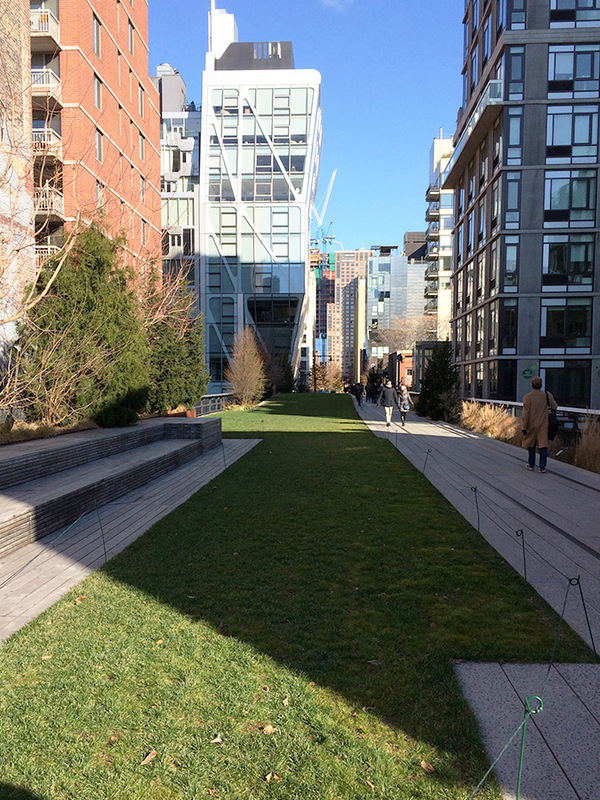 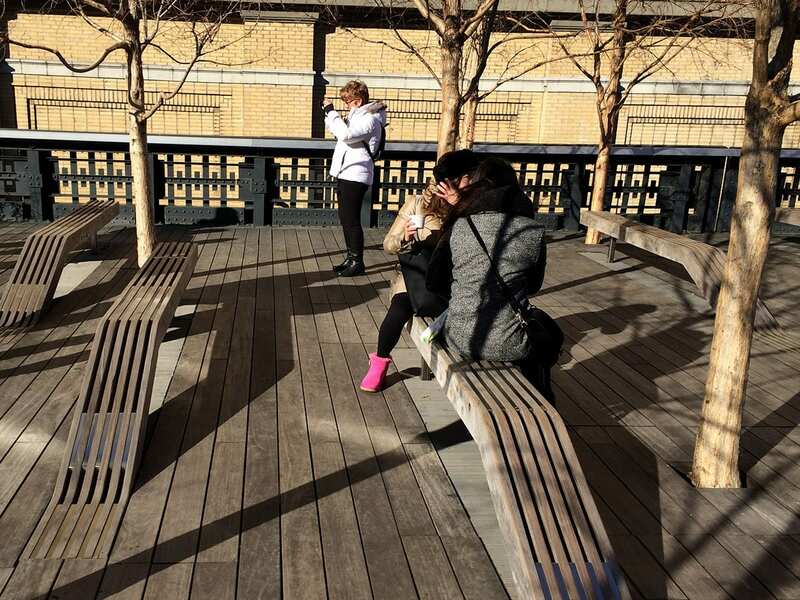 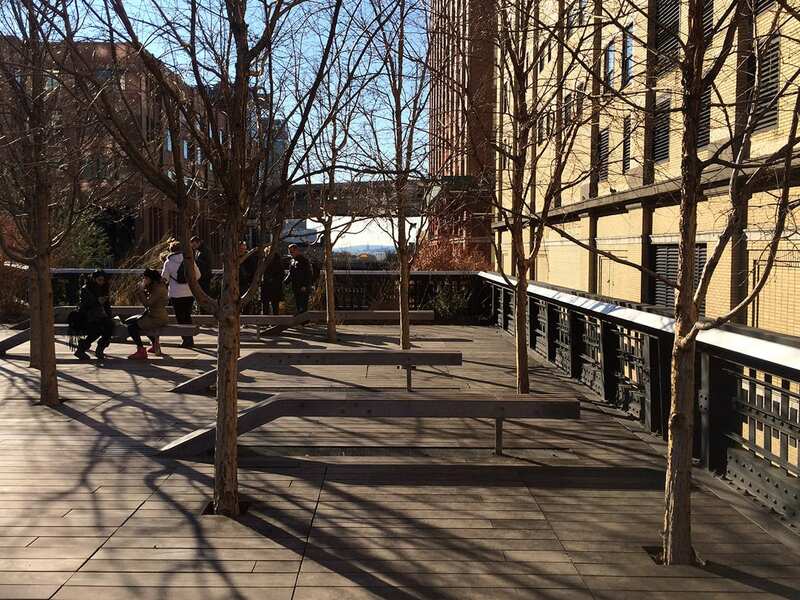 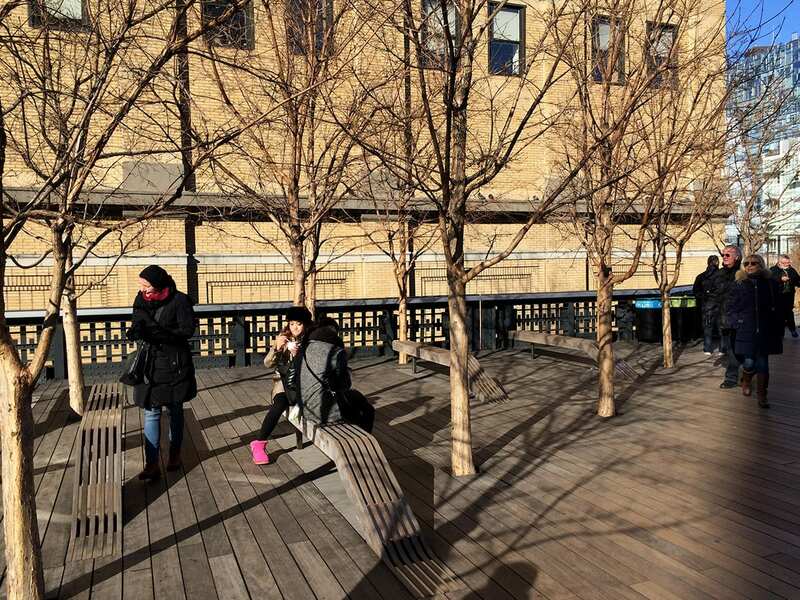 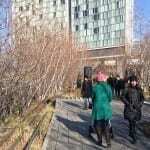 However one site that has become one of Manhattan’s newest, most visited and most talked about attraction is the High Line. 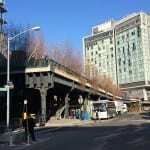 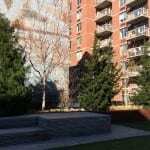 Originally built and opened in 1934 to remove the deadly street-level railways carrying goods within Manhattan’s largest industrial district, by 1980 the interstate trucking industry had removed the last train on the High Line, leaving behind a 2.3km elevated rail line that sat dormant until 1999. 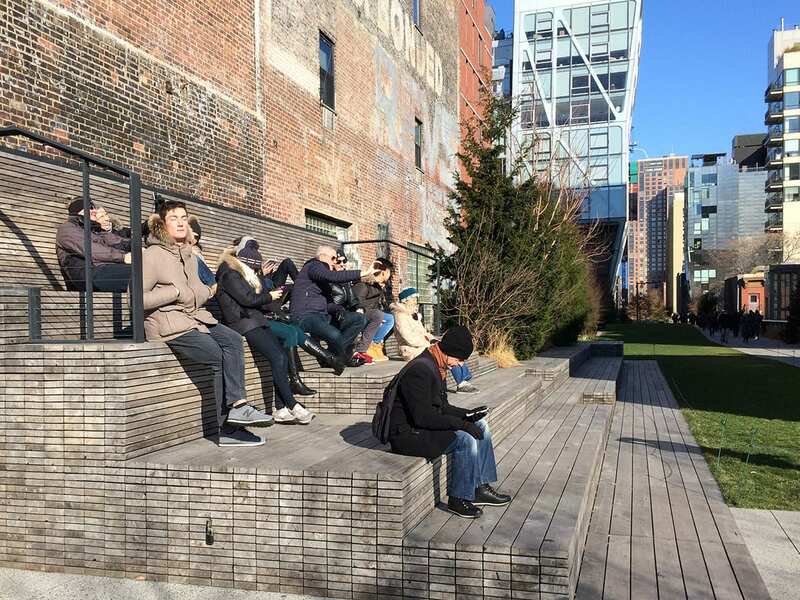 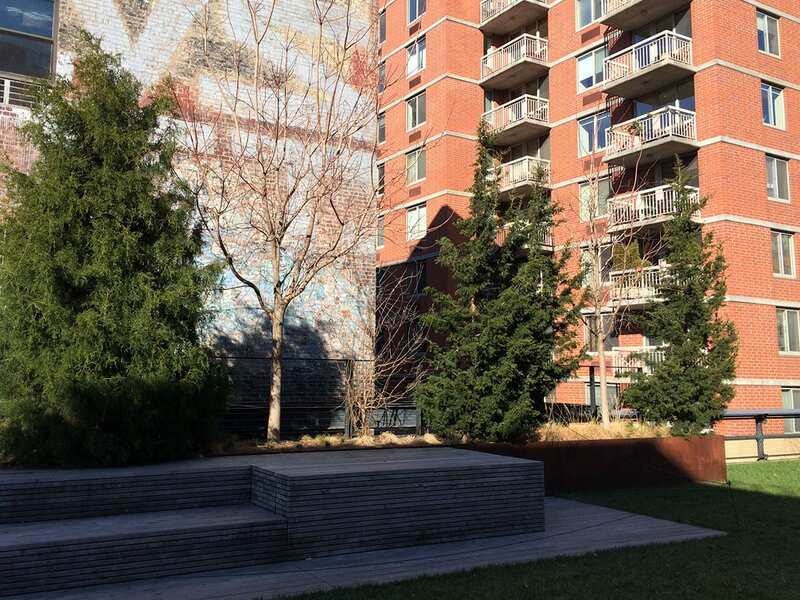 It was then that the Friends of the High Line was founded by residents of the High Line neighbourhood, to advocate for the High Line’s preservation and reuse as public open space. 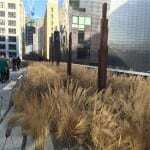 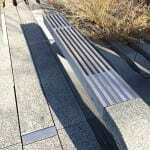 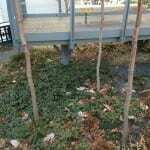 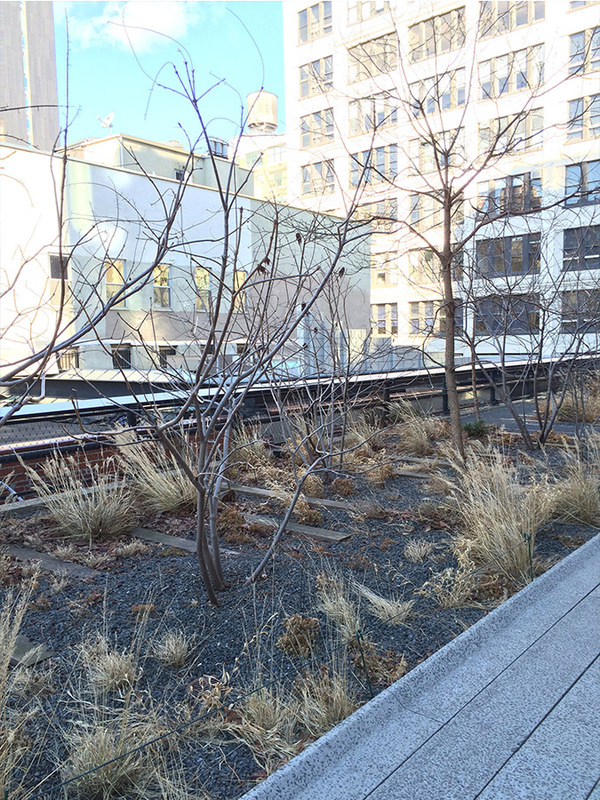 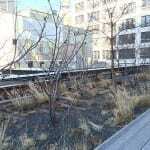 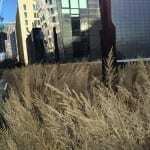 From 2002–2003 the planning framework for the High Line’s preservation and reuse begins, and in September 2004 a design team for the High Line, lead by landscape architecture firm James Corner Field Operations, was selected. 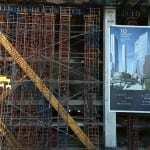 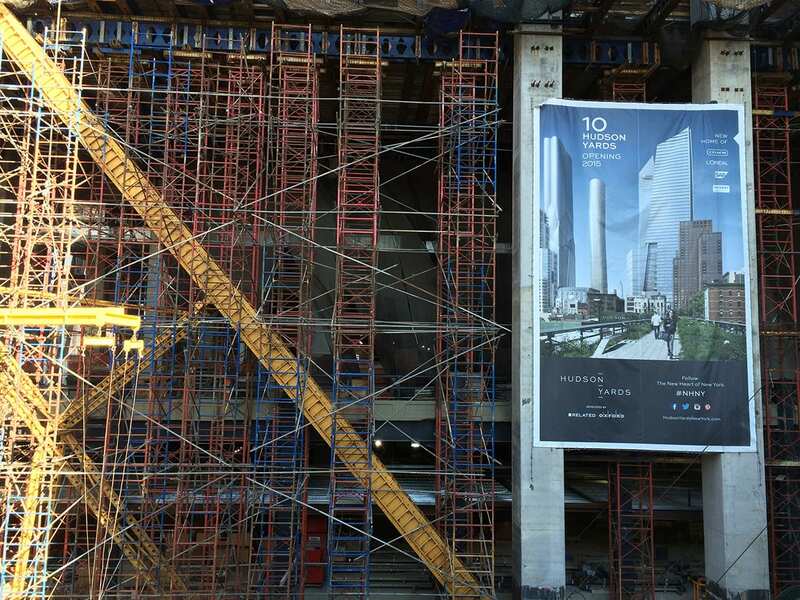 Construction commenced in 2006 and the first stage was opened in 2009. 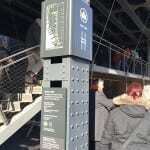 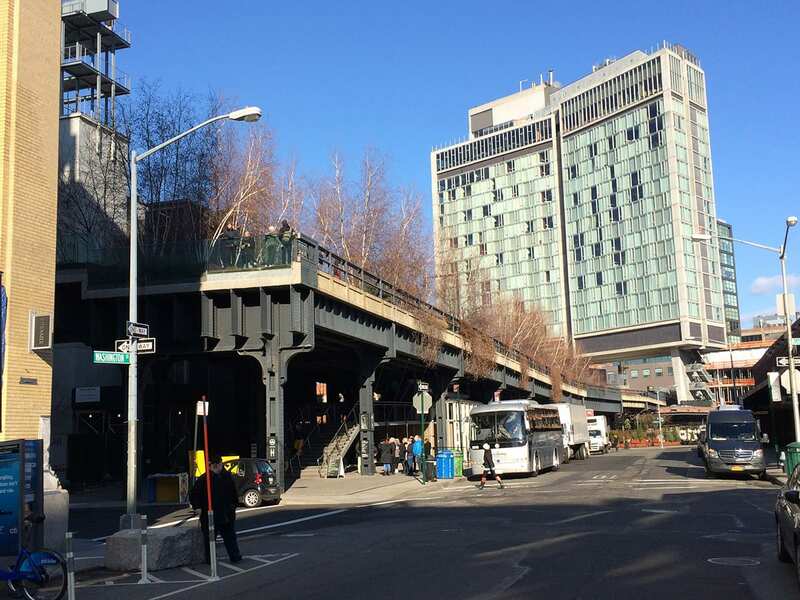 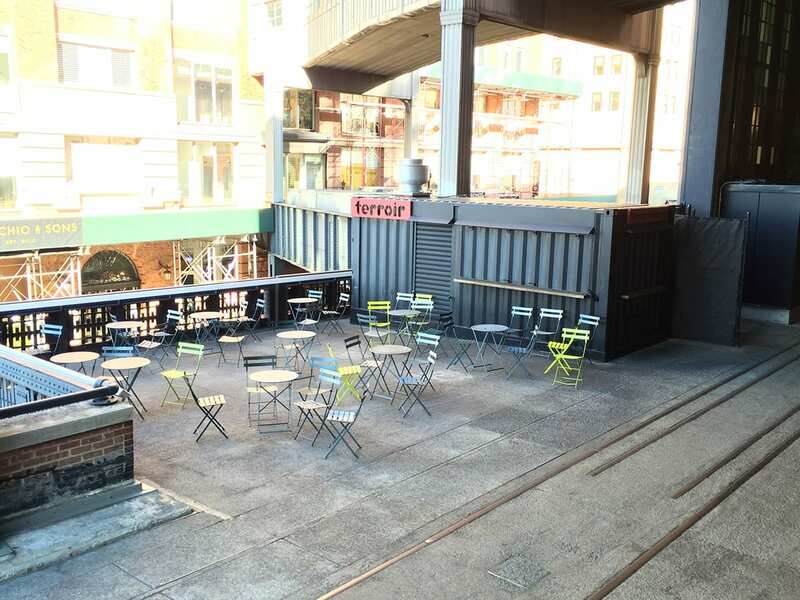 This elevated and abandoned piece of infrastructure, that sits above street level, and weaves through Chelsea, has had a far greater impact on the city than a well-worn track by the local and tourist population. 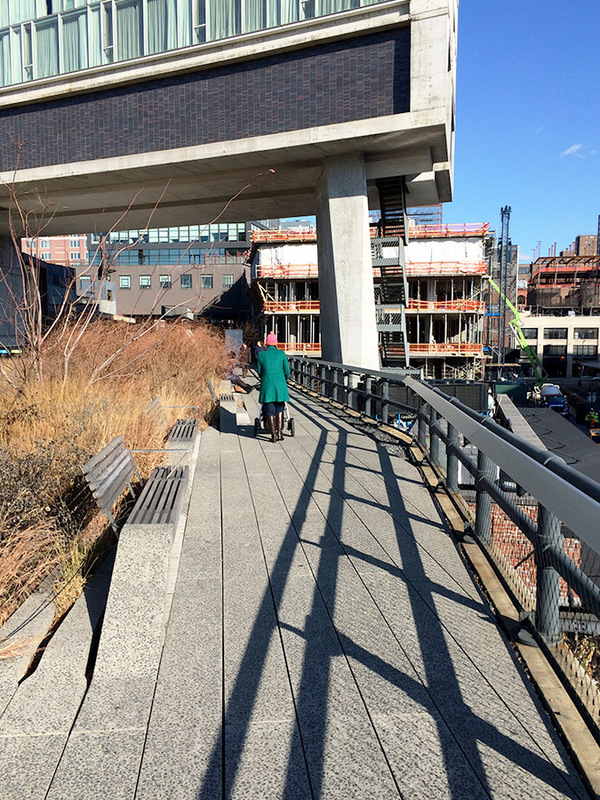 This landscape has transformed the Lower Westside neighbourhood’s still somewhat-gritty streets. 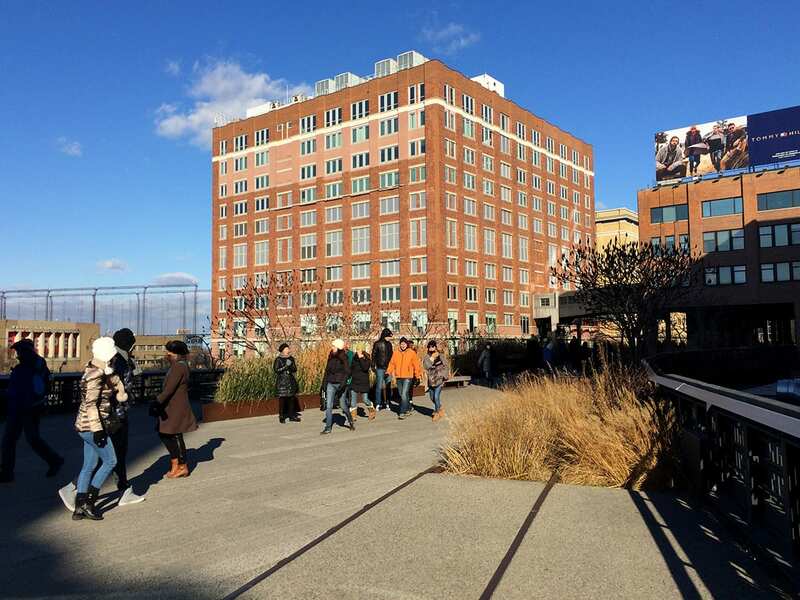 Of course there was the occasional exception such as Frank Gehry’s IAC headquarters as an example of architectural brilliance, however the High Line sat mostly within an architectural fabric populated by self-storage facilities and warehouses. 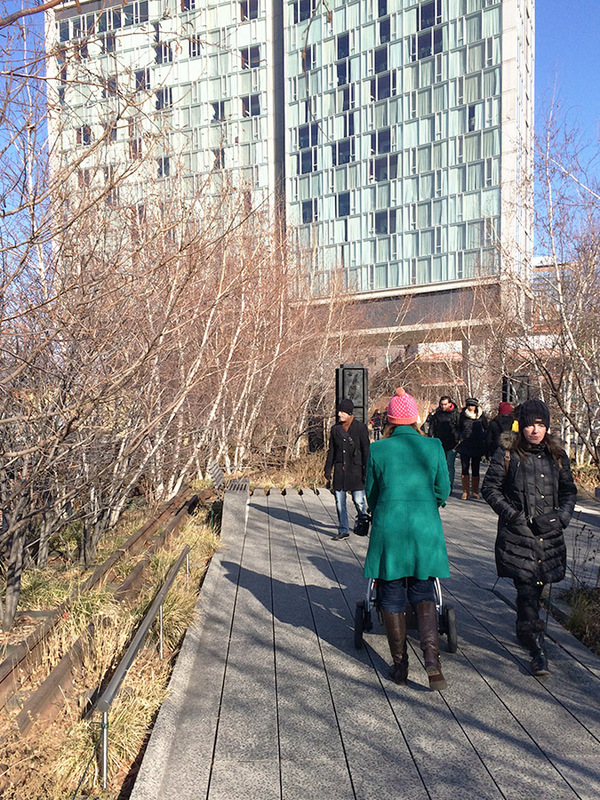 On a recent trip to New York, some five years after the opening of the High Line, I had the privilege of walking the whole thing, albeit in minus 15 degree conditions. 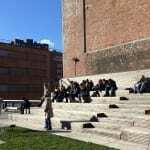 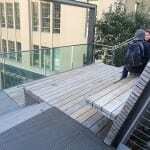 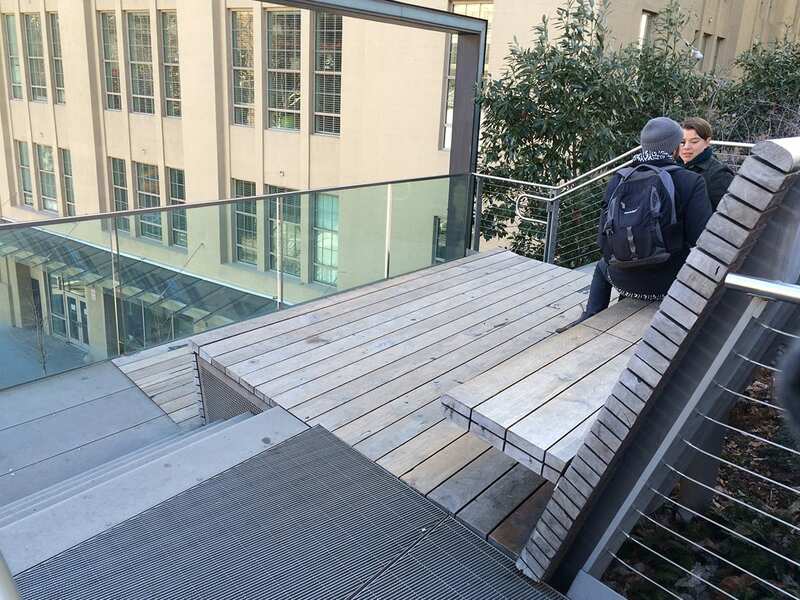 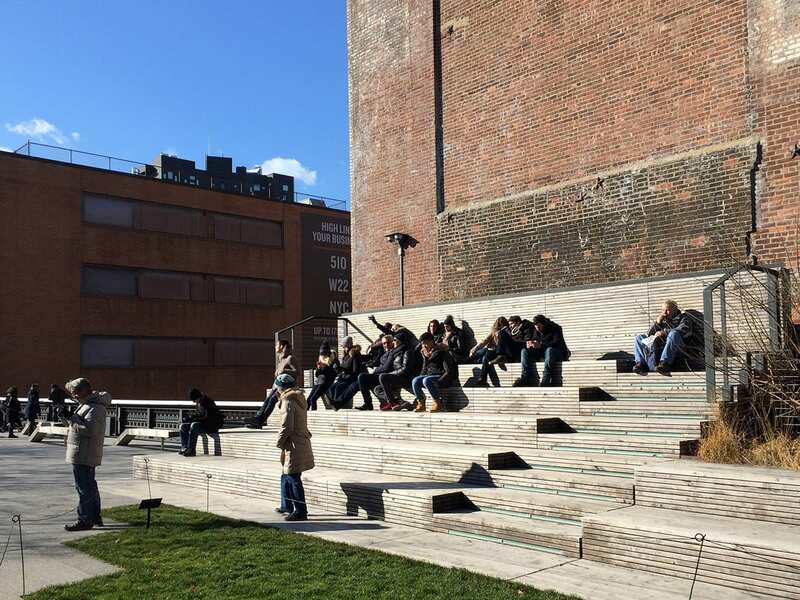 I was fascinated to see how the streets below have become one of the world’s most innovative architectural passages – a playground where both ‘starchitects’ and aspiring up-and-comers have locked arms to display their most inventive designs. 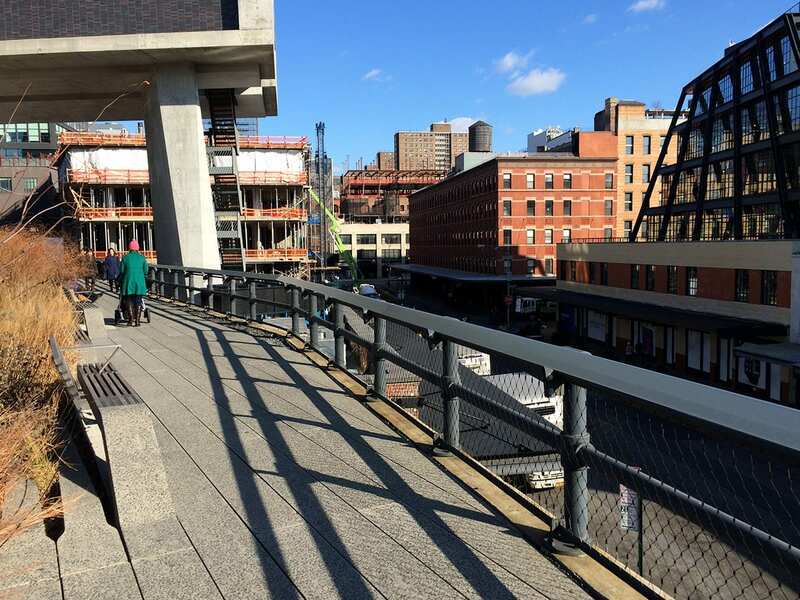 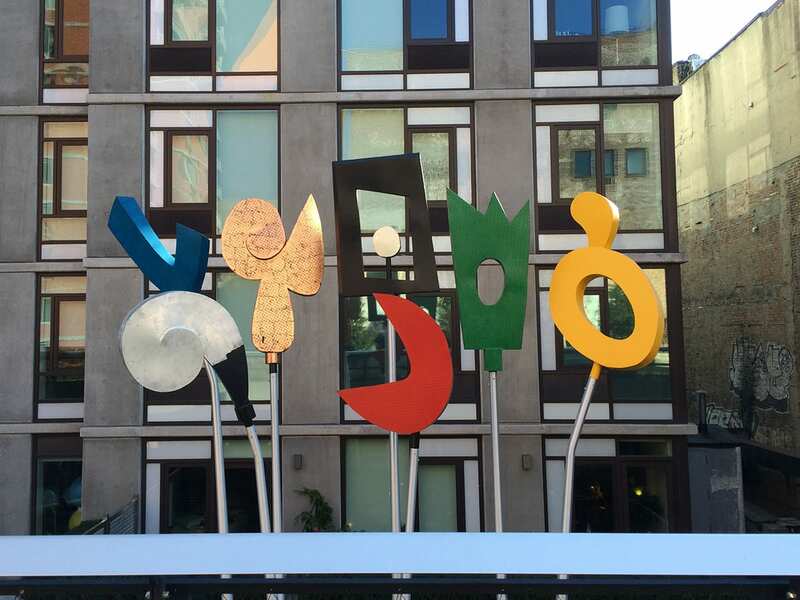 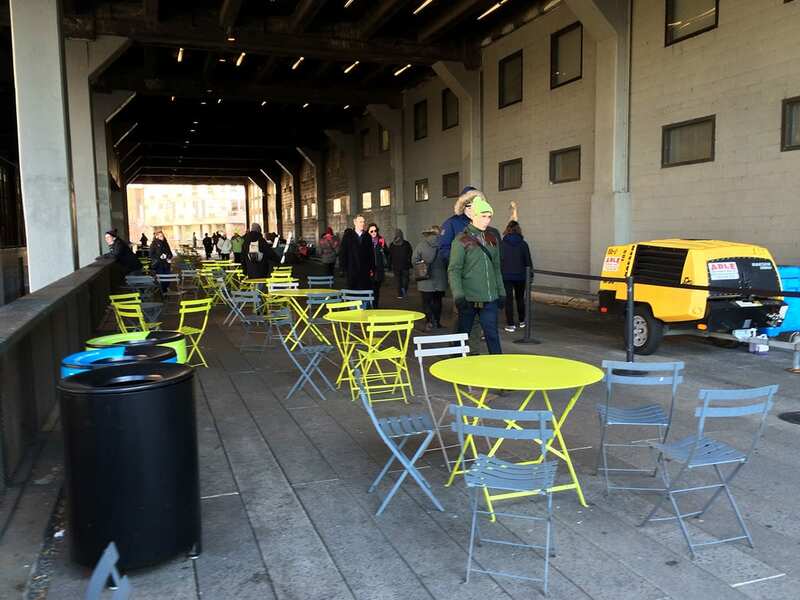 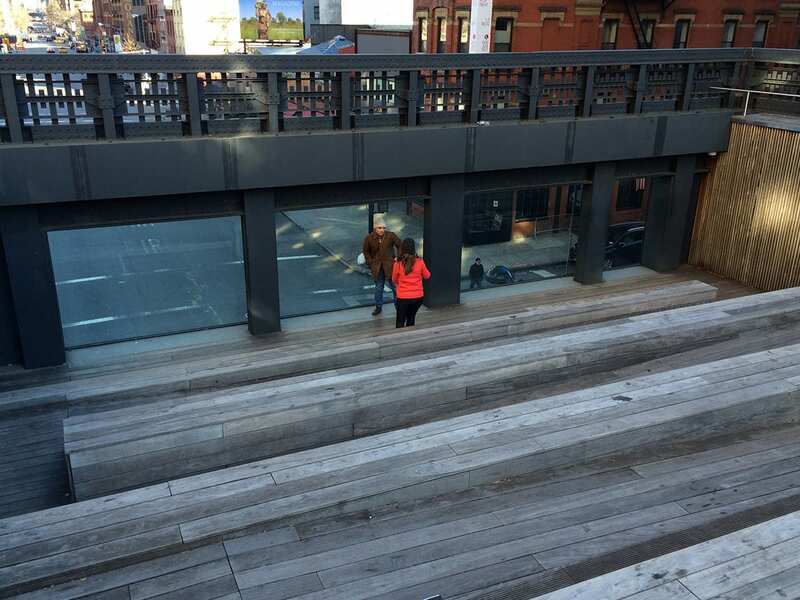 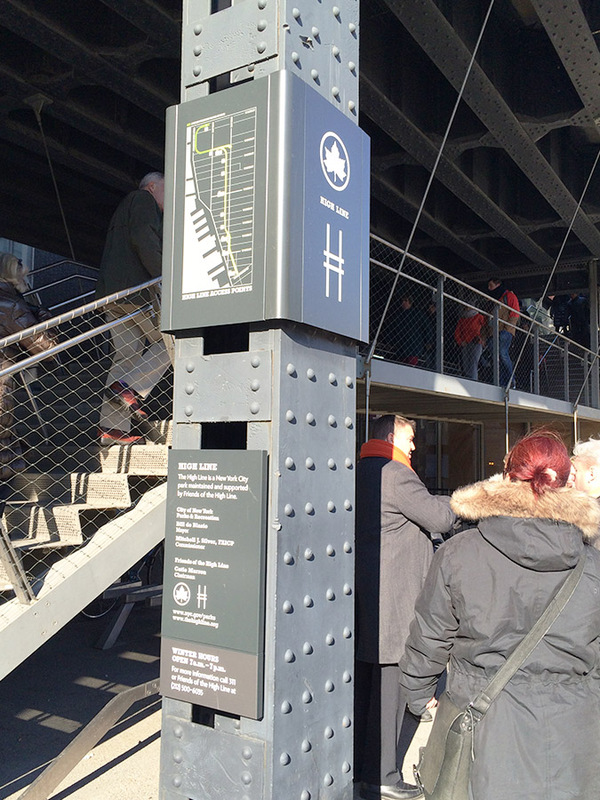 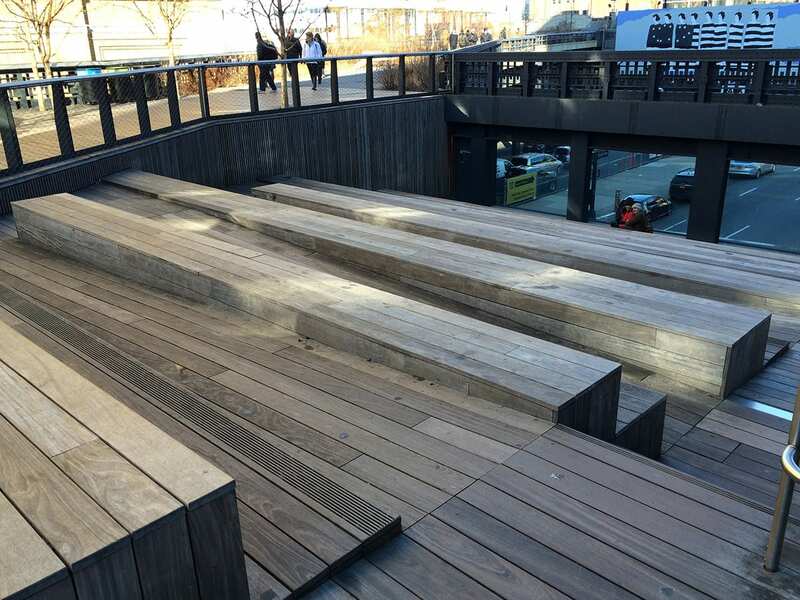 It was so refreshing to see a complete architectural transformation of the space below the High Line, thanks to the likes of renowned architects including Renzo Piano, Norman Foster, Frank Gehry, Zaha Hadid, Jean Nouvel and Annabelle Selldorf. 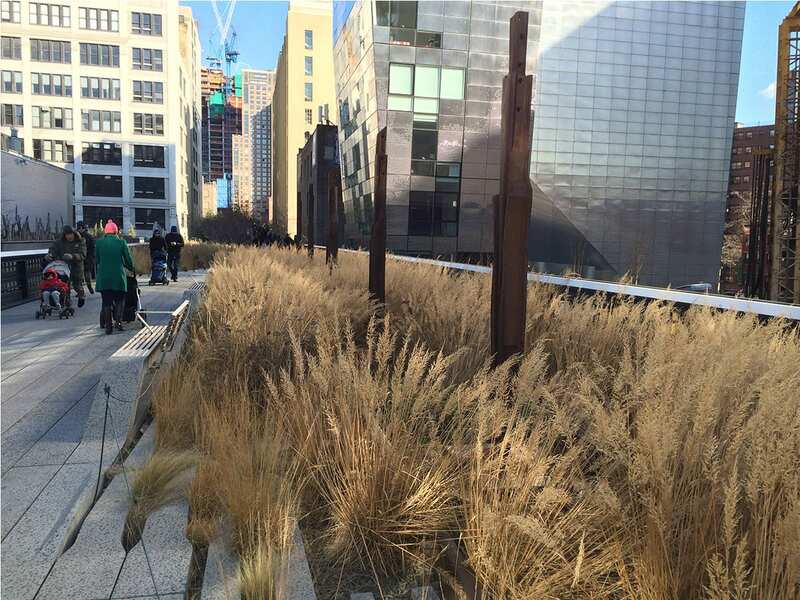 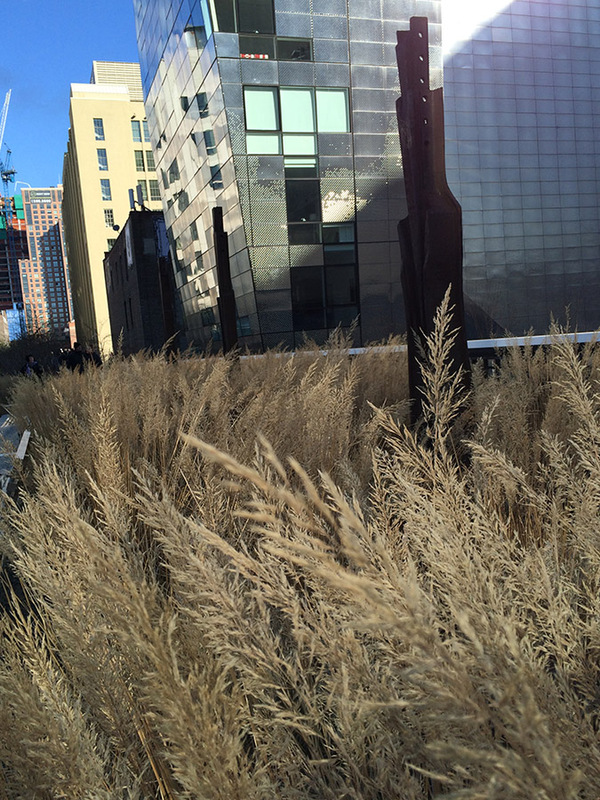 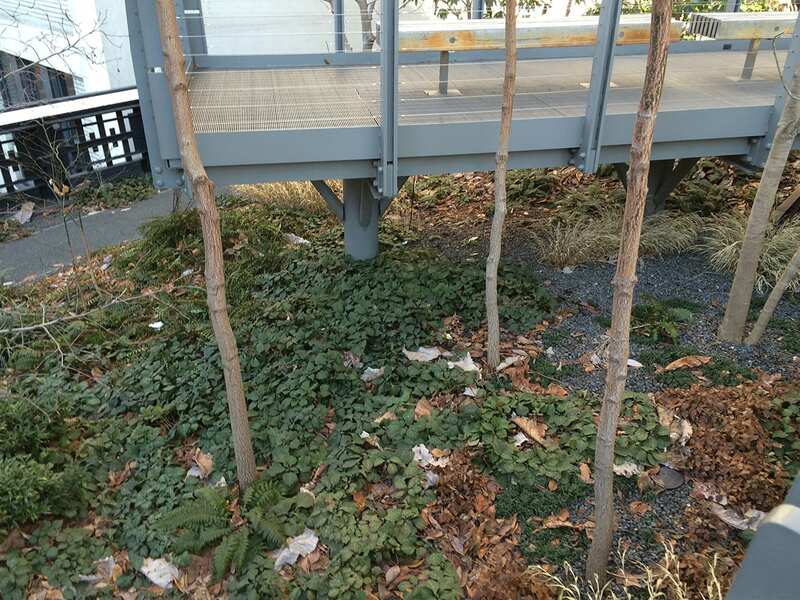 It could be said that the High Line has been a major element to the reestablishment of New York as an architecturally daring city. 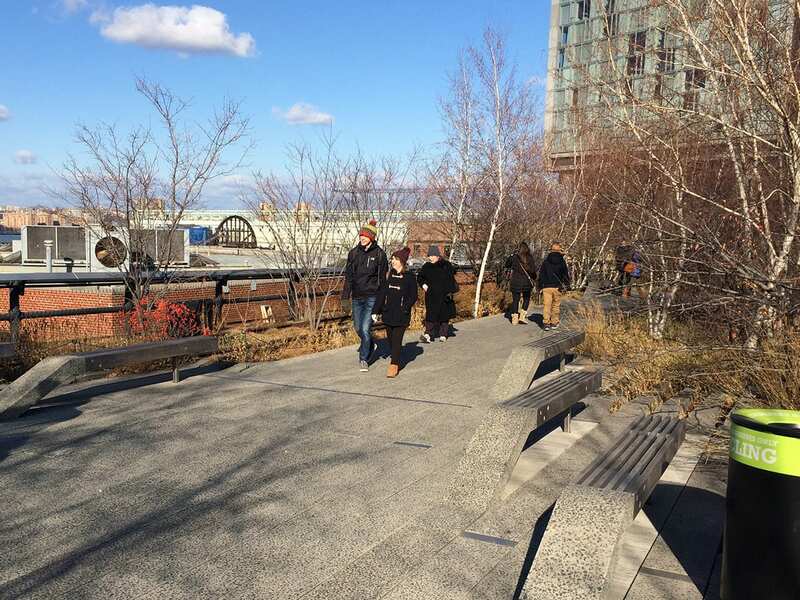 With several great local urban renewal projects, such as The Bays Precinct and Central to Eveleigh in conception at the moment, could we learn from the High Line? 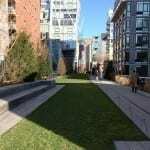 Its landscape design and its rich and diverse amenity could be the answer that will attract a mixture of developers and world-class architects to become a string of pearls that fit into the existing fabric; in that order and not in reverse. 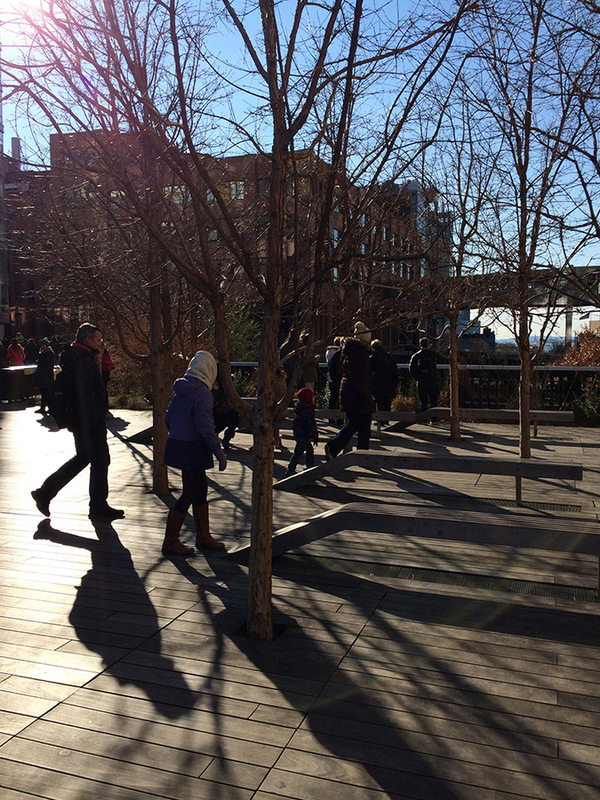 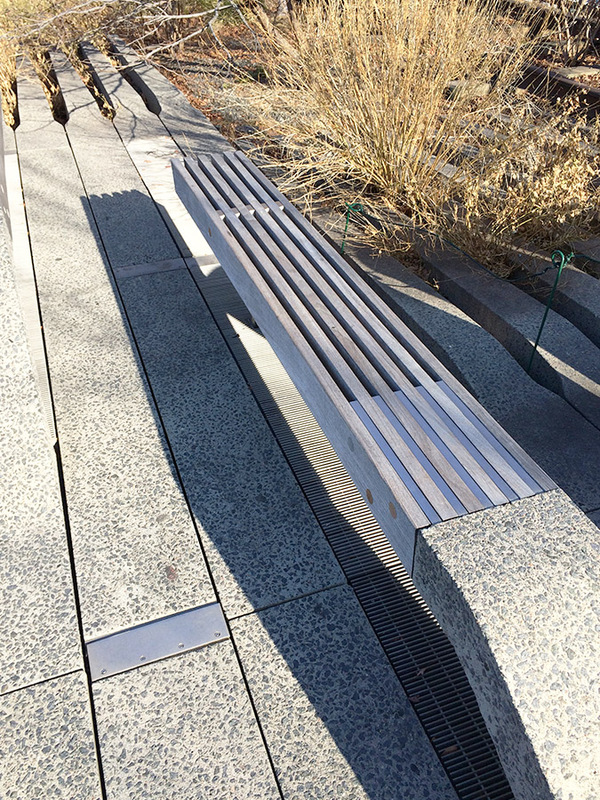 Please see the collection my images from the 29th of December 2014 – Like every good landscape architect I dragged my family along on a bitterly cold day of -0 degrees, and a wind whistling up the Hudson….. 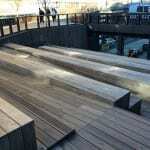 It would be fair to say we/they are looking forward to returning in Spring! 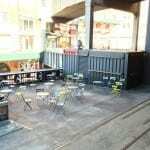 A video showing how Arcadia got involved in PARK(ing) DAY 2013. 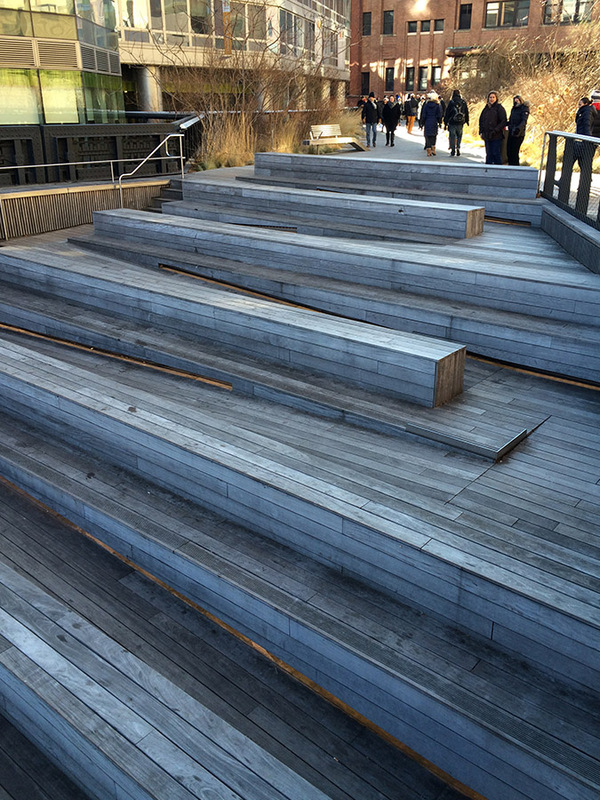 We take a look at the JCFO-designed Tongva Park in Santa Monica, California. 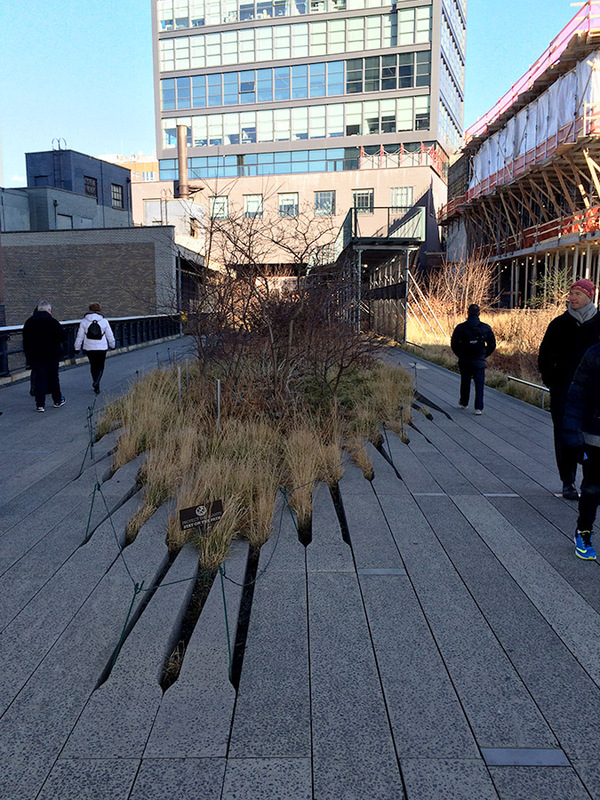 A look at the trend for landscapes as evolutionary systems.